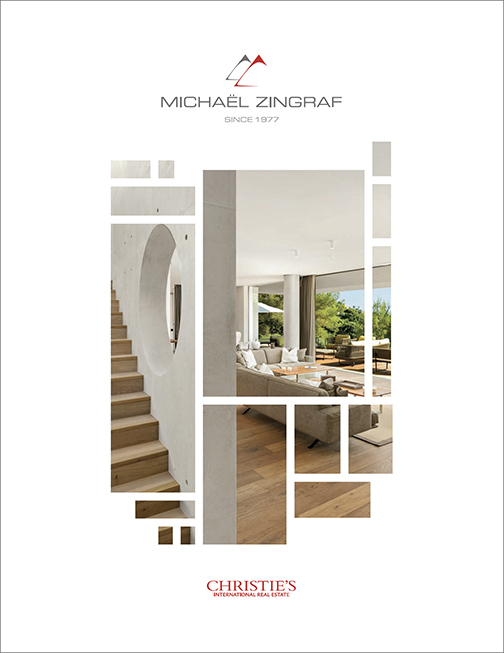 Present in the luxury property market for more than forty years, Michaël Zingraf Christie’s International Real Estate is the leading real estate agency in the French Riviera and Provence. Specialised in prestigious homes and rentals for an illustrious clientele from around the world, Michaël Zingraf Christie’s International Real Estate consultants are highly professional, multilingual and geared to help both national and international clients find the ideal home in the South of France. The delights of the French Riviera and exclusive, easy lifestyle of the Mediterranean coast can be experienced in a multitude of ways and enjoyed in a variety of settings. Prospective buyers can select from a superb collection of exquisite homes: seafront villas, contemporary houses, luxury apartments, chateaux, manor houses to vineyard properties… from the coast to the foot of the Luberon to the Vaucluse plateau; Michaël Zingraf Christie’s International Real Estate has an impressive portfolio of exceptional homes in the South of France. Michaël Zingraf Christie’s International Real Estate has agencies implanted in no less than thirteen much sought after towns and villages of the French Riviera. Your partner in all your home or rental projects in the region, will help you find the perfect home in an ideal location along the French Riviera or further inland, in line with your desires and needs. Our property listings in Saint-Tropez, Cannes, Cap d’Antibes, Saint-Jean Cap Ferrat, Saint-Paul de Vence, Mougins, Opio… each property has been meticulously selected for their refinement and rare beauty, as well as, their idyllic surroundings. Consult with our leading team of agents about any aspect of property acquisition, taxation laws or investment projects and discover the treasures of the French Riviera. We are dedicated and passionate about prestige properties in South of France and are at your disposal to help you make the ideal property purchase.